TDSA accepts electronic fund transfers, (EFT's) direct bank deposits as well as online credit card payments. 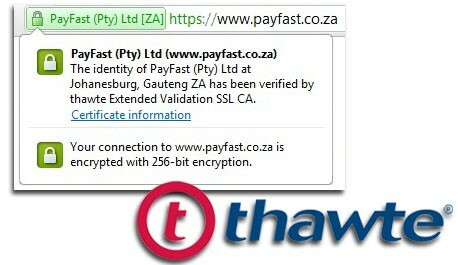 For quick, easy and secure online credit card payments, we rely on PayFast. You have to register for 3D Secure with your card issuing bank, and can be set up either as a password of your choice or a one-time-password that will be sent to you by email/SMS. Please click here for information on how to set up 3D Secure with your bank, if you haven't already done so. Please contact us if you have any questions or queries by clicking on "Contact Us" in the menu above.